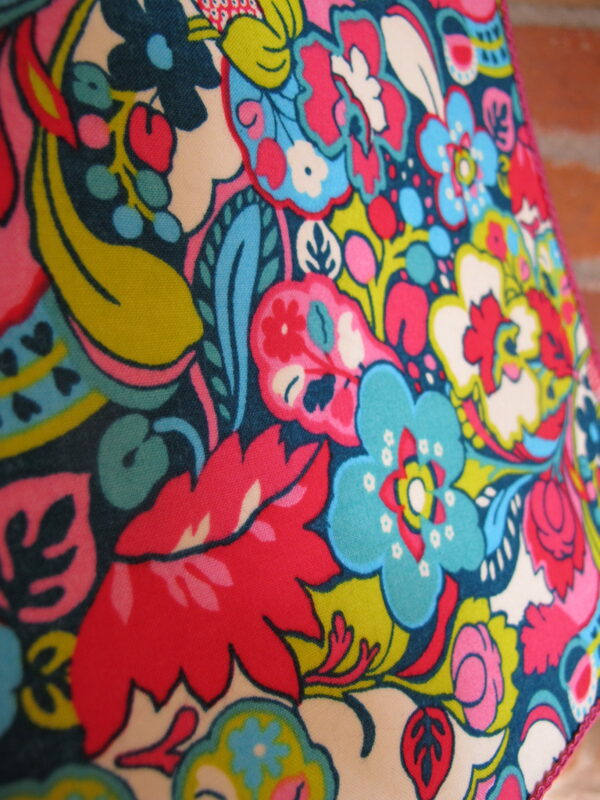 A wonderful fabric by Liberty. A design which was inspired by a screen painter in the 1930′s and created for Liberty in the 1970′s. 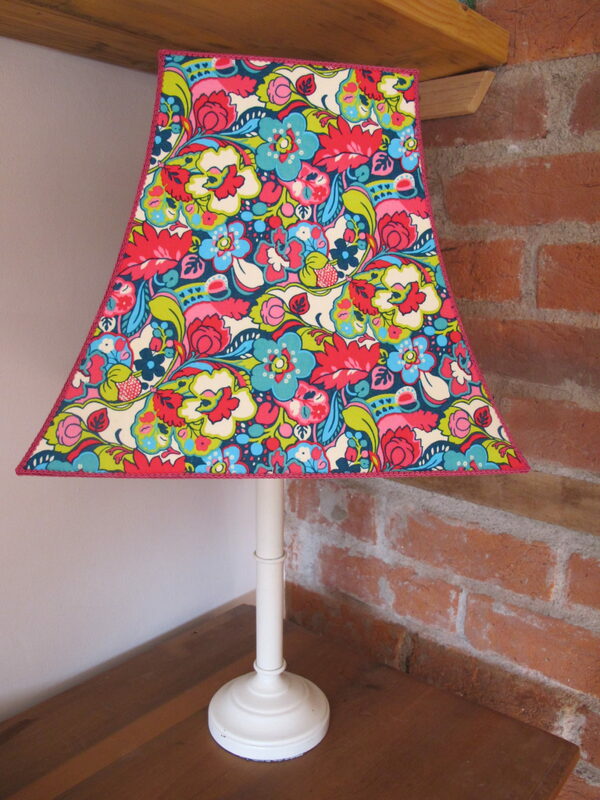 A colour palette of pink, red, blue, green and cream create this vibrant print. 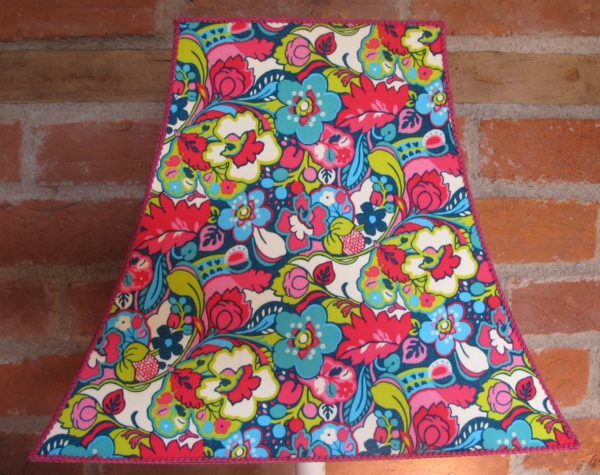 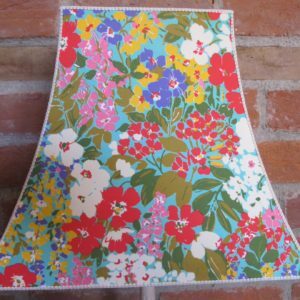 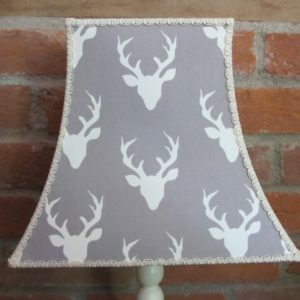 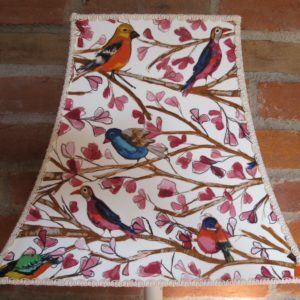 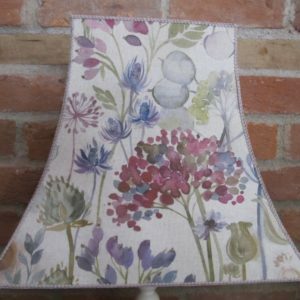 This lampshade will create a lovely cosy feel to your room! 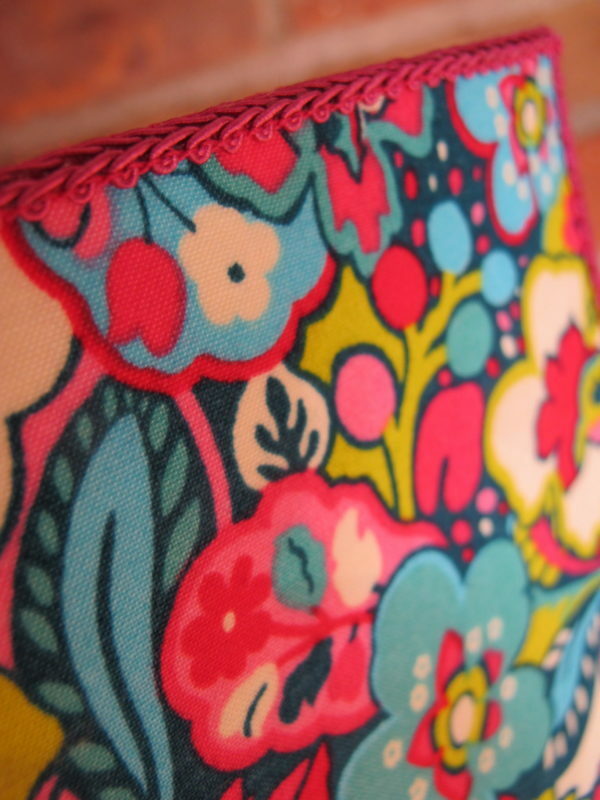 Edged with a dark pink scroll braid. 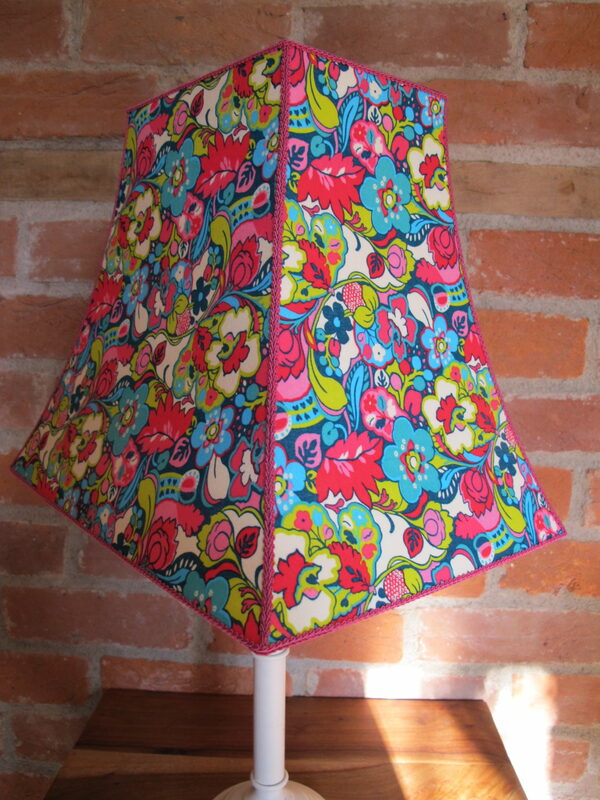 If you would like pom poms, at no extra cost, just let me know!